These are my newest favorite items of clothing! They were actually finished about a month ago and I’ve been wearing them a lot ever since. The top was made with the merino wool from the Anima pants winner prize that I got last month. I thought the sewing pattern should come from Papercut Patterns as well, so I bought the SJ tee PDF pattern. I love the instant-ness of PDF pattern but Papercut patterns packagings are so cute so I kinda regret not buying the paper version. SJ tee is a slouchy fit tee with the option of a long or short fitted raglan sleeve with wide cuff. It has full length and cropped length options and short or long sleeves options. I made size XXS in full length with short sleeves options. I made petite alteration by shortening the bodice length 2 cm above waist and 1 cm across the raglan lines. This alteration also shortened the neckline so it is not too wide for me. When finishing the neckline, I cut the neck band about 75% shorter from the neckline. 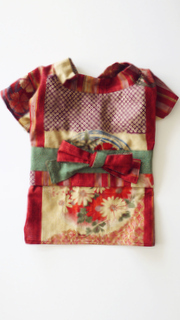 The neck band is attached to the neckline using overlocker, stretched slighly to fit. 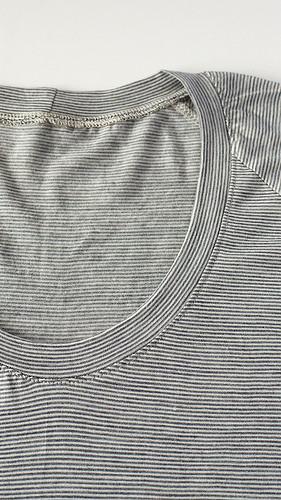 Then I topstitched from the right side using zigzag stitches set on 0.5 width and 3 on length. 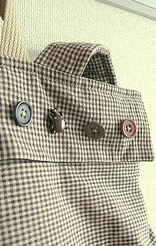 The result is a neckline that is not too wide and ‘hugs’ the body. The jeans pattern is Sandra narrow leg jeans by Style Arc. 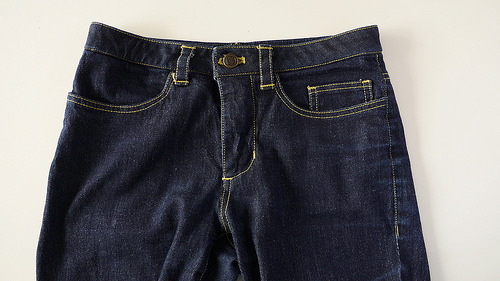 This is a classic narrow legs jeans with contoured waistband slightly below waist. 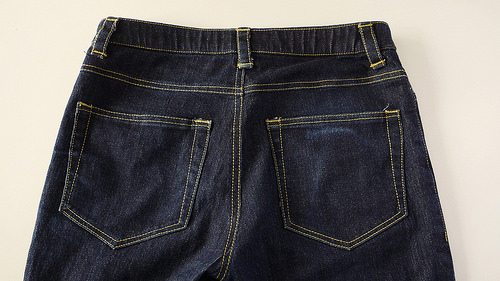 Fabric is dark denim with little stretch. As usual the instructions for Style Arc patterns are pretty brief, but it shouldn’t be a problem if you are familiar with making jeans. 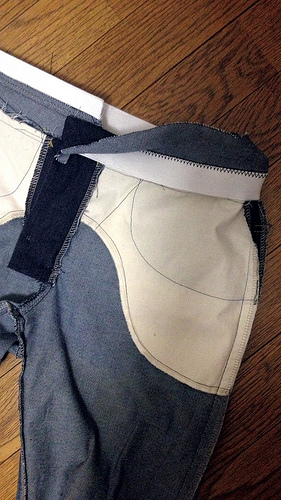 I did an experiment with the waistband by using wide elastic as interfacing. 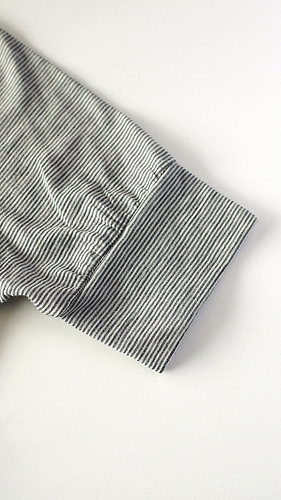 The elastic is attached to the waisband seam allowance using zigzag stitch without being stretched at all. Then I finished the waistband and topstitched as usual. I believe this adds stability to the waitsband and preventing it from being stretched too fast. You can see that the waistband is slightly wrinkled when not being worn, but smoothed out on my body. Other alterations are swayback adjustment and lots of leg shortening. I’m totally happy with these two! The top is very comfortable and the neckline is just right. I love the sleeves cuff because they keep me from being exposed when I raise my hand to hang on the train handles. Well, in case I forget to shave or something…. The jeans are the the best fit pants that I’ve made so far! Unfortunately I made a slight mistake that I realized too late. Can you guess what it is? I was waiting for the bus and going to put a coin to my coin pocket, but it wasn’t there! 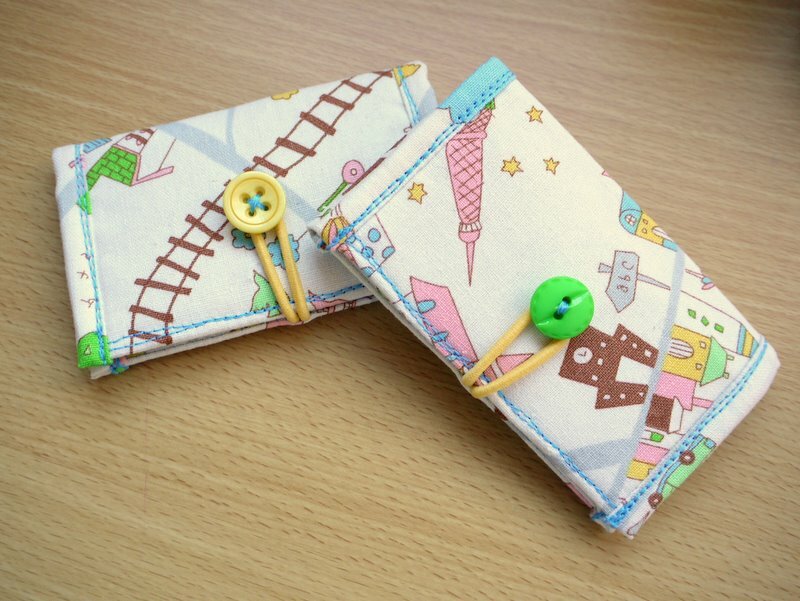 Turned out I have stitched the coin pocket to the left side instead of the right. I have thought about taking it off altogether but then decided to keep it there as a reminder for my next jeans making. Or maybe I will take it off anyway because I keep reaching for the non-existent coin pocket…. 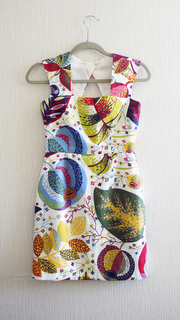 Top pattern is SJ tee by Papercut Patterns, (PDF) size XXS.